This past Saturday commemorated the birth of baseball’s most elite record setting achievement, the 40/40 club. On September 24th, 1988 Jose Canseco collected his 39th and 40th steals of the season, becoming the first player in major league history to hit 40 homeruns and steal 40 bases in a single season. 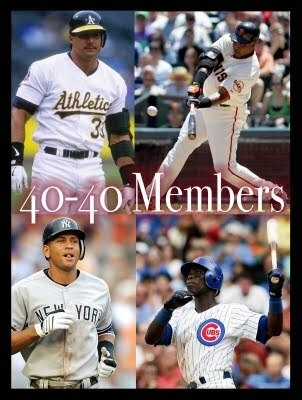 To date only four players have gained entry into the exclusive club: Jose Canseco, Alex Rodriguez, Barry Bonds, and Alfonso Soriano. Rap entertainment mogul, Jay Z, tributes his chain of 40/40 nightclubs to this outstanding display of power and speed. The 40/40 club’s flagship location in New York is set to reveal its new renovations at the grand re-opening in December. Eileen Koch and Company is teaming up with PAWS LA, (Pets Are Wonderful Support) to assist them in promoting their second annual “Bowl Project,” featuring one-of-a kind ceramic dog bowls painted by renowned artists. Proceeds from the online auction, set to launch this November, will go towards helping low-income seniors and people with life-threatening illnesses care for their beloved pooches. 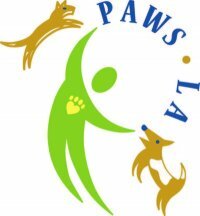 Last year Cindy Crawford, Ellen DeGeneres, Jessica Simpson, William Shatner, and Chelsea Handler lent their support to PAWS LA, and raised over $35,000! Lets make this year’s event more successful than the last! 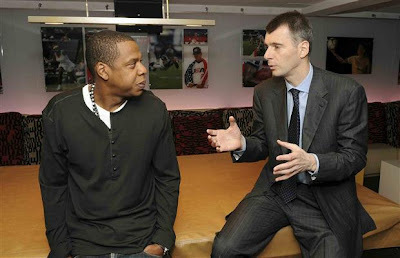 Mikhail Prokhorov recently celebrated the purchase of The New Jersey Nets with minority owner and investor, Jay Z at the illustrious 40/40 club. The Nets, who have played in New Jersey since joining the NBA in 1976, will be renamed the Brooklyn Nets when the franchise moves into a new arena at the Barclays Center in Jay Z’s hometown of Brooklyn for the 2012-2013 season. The Coveted Lime Truck To Partake In Orange County's "Eat in the Streets"
We invite you to try the delectable creations of The Lime Truck at The Community Foundation of Oranges' "Eat in the Streets" tomorrow Friday, September 23rd at the Village of Orange, 1500 E. Village Way from 5-9PM. The Lime Truck will be joining 25 gourmet food trucks for an event of true culinary creativity and foodie fun! 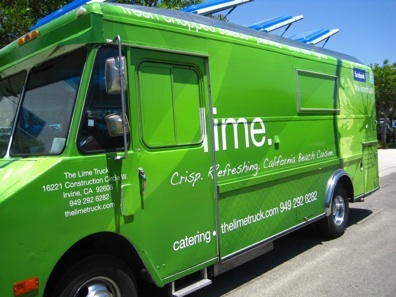 EKC is excited to be working with OC food truck sensation, The Lime Truck! The Lime Truck uses fresh ingredients and zesty flavors to create an adventurous California coastal cuisine. Their mouthwatering menu covers everything from fresh salads and sandwiches to carnitas fries and lamb burgers. While tantalizing the tastebuds of OC locals, The Lime Truck is currently competing on the Food Network's “Great Food Truck Race” for $100,000 and the title of greatest food truck. Stay tuned to see if The Lime Truck will roll over the competition! For more information visit: wwww.thelimetruck.com. The EKC team was out in full force supporting eco-friendly client, A Lot To Say, at Fred Segal's Fashion's Night Out. 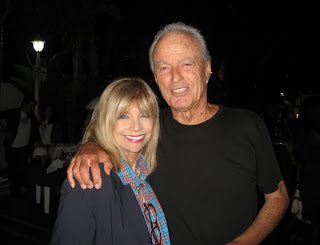 Even Fred Segal himself came out to attend the spectacular event and reunited with one of his long-time, favorite customers, Eileen Koch. At this year’s Fashion’s Night Out, the innovative green clothing and accessory line, A Lot To Say, Inc. (www.alottosay.com) is giving fashionistas something to talk about. Come celebrate the pioneer of green glam, A Lot To Say, at their brand new flagship store at Fred Segal Santa Monica on September 8, 2011. This is an excellent opportunity to explore the new boutique and experience the genius behind the revolutionary trend-setting fashion line. Also enjoy free drinks, food, and entertainment, all while helping to save the environment! Best yet, you will be privy to the fabulous discounts and latest fashions. EKC is elated to be assisting Jay-Z and the 40/40 club with the highly anticipated grand re-opening of their flagship location in New York, slated for November 1, 2011. The $10 million renovation, orchestrated by world renowned designer Jeffrey Beers, includes custom chandeliers, oak wood floors, Italian marble stepped stadium style seating, and an expansive collection of LCD flat screen TV’s. The attitude, style, and sophistication of the NYC club is sure to offer a unique experience for all to enjoy! For more information visit: www.the4040club.com. British Artist, Amanda Eliasch and Liberatum Slated to Host James Franco’s Debut of “Rebel” Vernissage Sponsored by Gucci. British art sensation Amanda Eliasch embarks on yet another escapade into the contemporary art world as she and Liberatum host James Franco’s debut of “Rebel” sponsored by Gucci on September 3rd. Inspired by the iconic film, "Rebel Without a Cause," the site-specific installation art exhibit showcases artwork by James Franco in collaboration with a multitude of renowned artists.